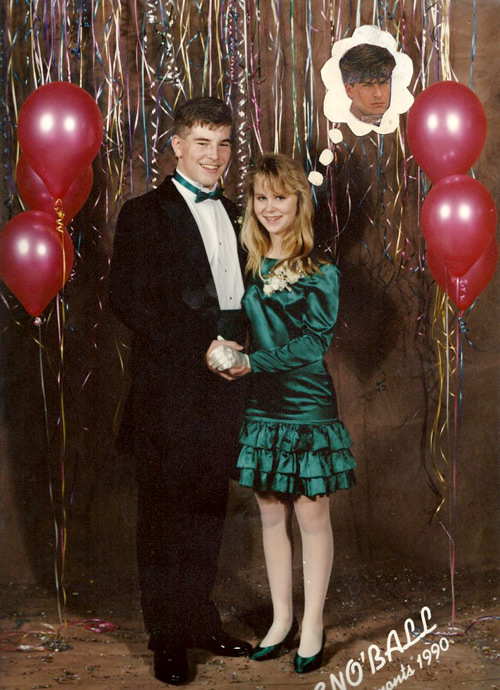 Remember the thrill of being asked to a school dance or formal? Whether it was homecoming, a winter formal or the grand pappy of them all – senior prom – the preparation and planning that went into the big night was almost as exciting as the event itself. There was one hugely important detail to consider – THE DRESS. Gunne Sax? Jessica McClintock? An original handmade number ala Andie in Pretty in Pink? Then there were the other important details – hair, nails, make up, hosiery, jewelry and . . . 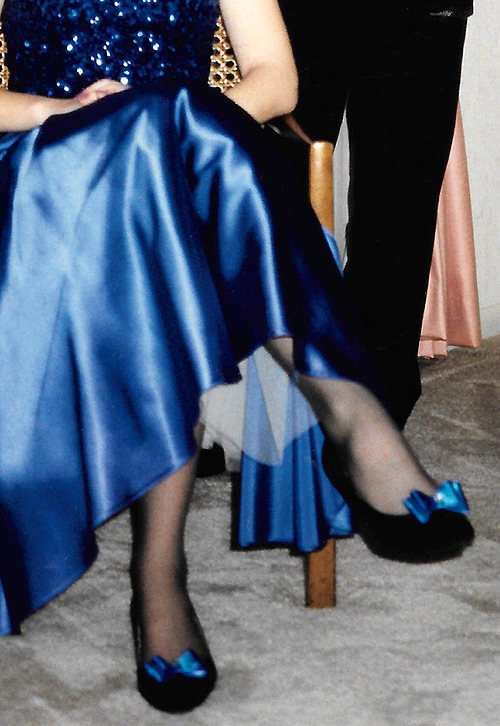 The majority of the girls at any 80s school dance wore shoes that were dyed to specifically match their special dress. Why go with plain old black when you could have your shoes be all matchy-matchy, like, the exact same color as your dress? 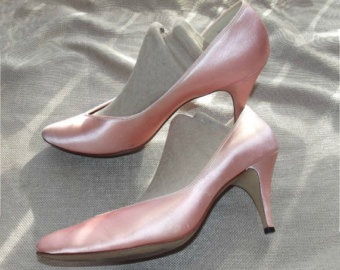 You would buy a pair of satin, plain cream/white colored heels (or “pumps” as we always called them) at the mall in the formal dress section or at a bridal shop. Then you’d take them somewhere and wait patiently for the magic to happen. The company that had this market cornered was Dyeables, and they appear to still be in the business of dyeing shoes. What’s more, they still offer the exact same model I wore several time, apparently called the Abbey. Of course I took advantage of this service more than once through an alterations shop that my mom used to go to. 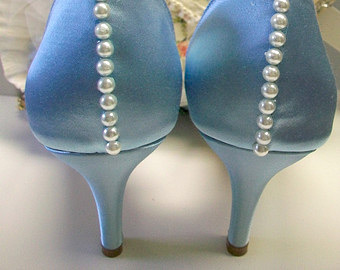 We’d bring the boring, plain shoes in along with a piece of fabric from my dress and a week later the shoes were reborn, in a new bright color like peacock green or hot pink! So much better!!! 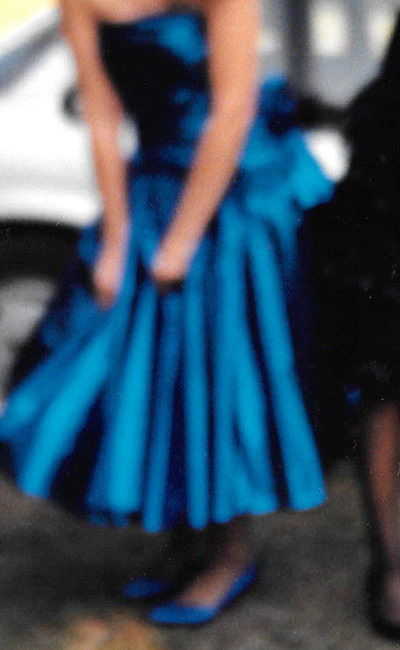 Even the shoes that went with my epic senior prom dress were that classic “prom pump” that we had dyed black. Because I’m not just going to buy a pair of black shoes you guys. 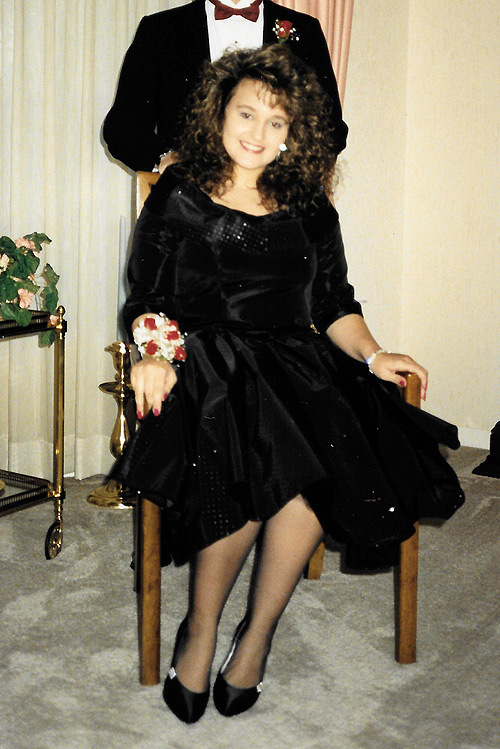 The shoes were of course accented with rhinestone clip on thingies. I’m guessing this tradition only lives on due to 80s themed prom parties or for the occasional unfortunate bridesmaid. Looking back through old photos I gotta say I think it was great. I adore those loud, jewel-toned, primary-colored pumps. Because black shoes were boring; unless they are cream colored shoes that were dyed black, then they were totally awesome. 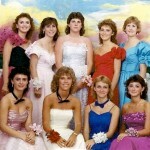 I love this website and your information on the 80’s prom. We are having a dinner auction fundraiser for our Happy Valley Elementary School (Portland Oregon) this April. It will be our 9th year! 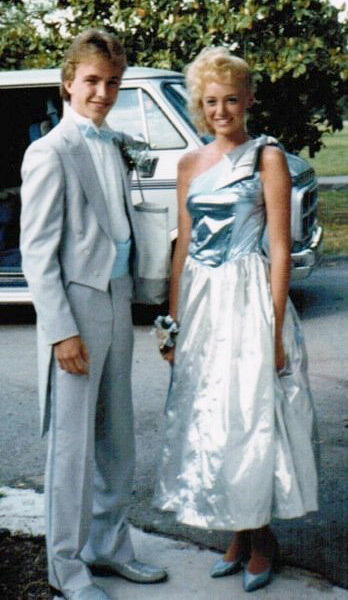 Our theme this year is 80’s prom…. We don’t want to decorate with “80’s neon things for centerpieces, but want it to feel like a real 8o’s prom. 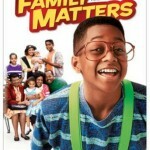 majority of parents are in their 40’s, so we all know the 80’s and love it! Do you have any ideas for centerpieces? 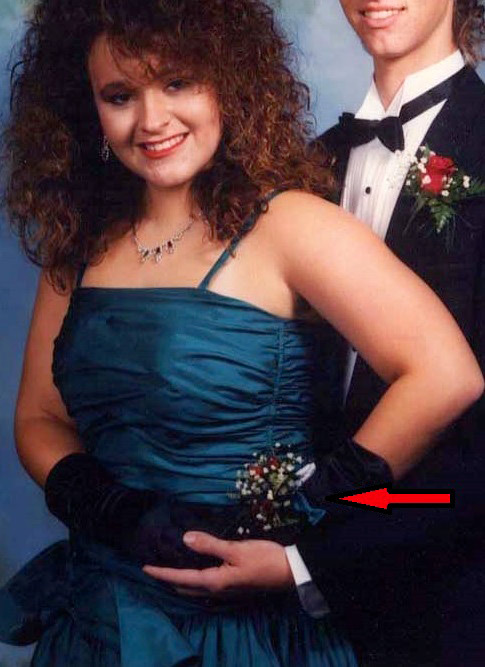 We want to make a wrist corsage for people to buy when they get there. We will have a picture area also to make money for the school too. We have a silent and live auction. Any ideas would help??? Or if you know of any business or people that would like to get their name out in the portland area and would like to get involved I would love to talk to them.